An Irish woman described by her physicians as "clinically dead" is being kept on a ventilator against her family&apos;s wishes — all so that she can function as an incubator for the 16-week-old fetus she was carrying when she died. The case has reignited the debate over Ireland&apos;s highly restrictive abortion laws, which the unnamed woman&apos;s doctors are citing as the reason they&apos;ve ignored her family&apos;s request to turn off life support, according to the Guardian. The woman, reportedly in her mid-to-late 20s, had suffered head trauma and an ultimately fatal blood clot early in the second trimester of her pregnancy. With the flow of blood and oxygen to her brain arrested, the woman suffered permanent and irreversible "brain death," although life-support machines have been keeping her artificially alive for more than a week in order preserve the fetus. No baby born earlier than 21 weeks into gestation has ever survived. Thanks to a conservative Catholic push in the early 1980s, embryos are considered Irish citizens under the nation&apos;s constitution from the moment of concept. Abortion is illegal in heavily Catholic Ireland unless it&apos;s the result of medical intervention necessary to save the life of the mother — and even this caveat is only a recent development, passed after 31-year-old Savita Halappanavar died from blood poisoning following a partial miscarriage. The Irish hospital where she was treated refused to provide an abortion for three days, citing a fetal heartbeat. The heart will eventually stop beating as all bodily systems begin to stop working shortly after brain death. Once this process has begun, it cannot be reversed. At the time a physician declares brain death, the patient is dead. Mechanical support (a breathing machine) keeps oxygen going to the organs until they can be recovered for transplant. The machine is not keeping the patient alive (brain death is irreversible and is legally and medically recognized as death), it is merely keeping the organs viable until they can be recovered. The absence of oxygen that killed the woman almost certainly affected the fetus as well, meaning that the damaged fetus is now being kept alive in a womb that decays and becomes less viable every day. As many medical ethicists has said in similar situations, this is akin to forcing a fetus to slowly die inside a cadaver. This isn&apos;t the first time this has happened. It took the widower of Marlise Muñoz, a pregnant American woman who collapsed following a blood clot in her lung, two months and a lawsuit to force a Texas hospital to take his brain-dead wife off a ventilator. 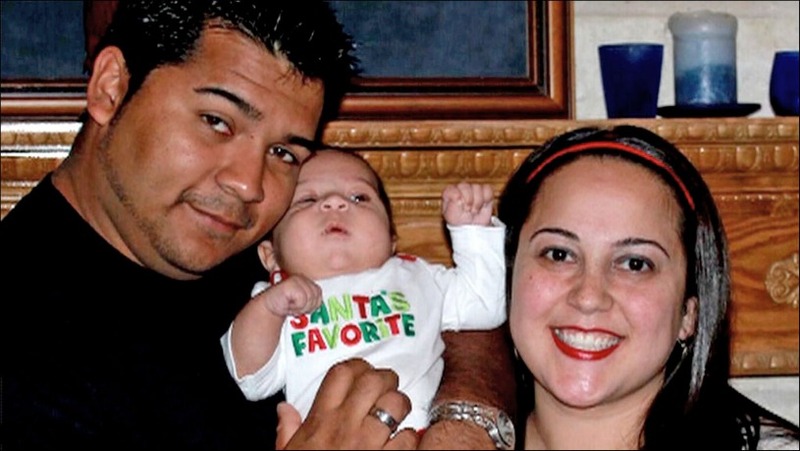 In a situation shockingly similar to the case of the unnamed Irish woman, Muñoz suffered oxygen deprivation and brain death in her 14th week of pregnancy, but was kept on life support against her family&apos;s wishes when hospital administrators misread a state law that mandated lifesaving measures be maintained if a female patient is pregnant. That Muñoz was technically dead and that the bill&apos;s own author thought the law was being misapplied didn&apos;t matter to the hospital. This is despicable. Besides the obvious health risks to the fetus, and the psychological damage to loved ones forced to watch a dead woman slowly decay while hooked up to machines, the implication of laws like these is that a pregnant woman&apos;s most important function in society is as a host for potential new life. Keeping a cadaver in semi-working order to fulfill that "duty" is perverse. Women are more than vegetable gardens. When a woman suffers an unimaginable tragedy that renders her incapable of making her own decisions, those decisions are best left to medical professionals and the people who know and love her, not clergy or politicians. Fortunately for the estimated 4,000 Irish women who have to flee the island nation to obtain a safe, legal abortion every year, attitudes are slowly changing. On Tuesday, Irish Health Minister Leo Varadkar criticized existing law as unreasonably restrictive on women. According to Varadkar, "Difficult decisions that should be made by women and their doctors ... are now made on foot of legal advice. That isn&apos;t how it should be."